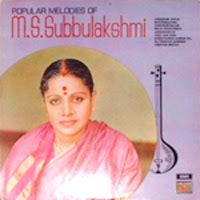 M. S. Subbulakshmi is one of the foremost musicians of India. As a first-time foreign listener put it: "M.S. does not sing. She makes divinity manifest." She sings here a bhajan (religious song) of Meera in Hindi (she has played the role of Meera in the film portraying the life of that devotee-poetess of the 16th century who, though queen of a Rajput state, abandoned the court and palace and sang her soul-stirring songs on Krishna amidst the holiest and lowliest). Madurai Shanmukhavadivu Subbulakshmi (Tamil: மதுரை சண்முகவடிவு சுப்புலட்சுமி, popularly known as M.S.) (1916 - 2004) was a renowned Carnatic vocalist. Her mother tongue was kannada. She was widely honored, praised and awarded. She was the first musician ever to be awarded the Bharat Ratna, India's highest civilian honor. She was born to a musical family, in the temple town of Madurai, situated in the state of Tamil Nadu in South India. M.S. started learning Carnatic music from a very early age and released her first recording at the age of 10. At 17, the child prodigy made her debut at the Madras Music Academy. Since then, she performed countless musical forms in different languages such as Hindi, Bengali, Gujarati, Tamil, Malayalam, Telugu, Sanskrit and Kannada. M.S. became famous as a film actress. Her most memorable role was Bhaktha Meera in "Meera" (1945). The movie had M.S. sing the famous Meera bhajans. It was the Hindi version of that film that introduced her to people in North India. She was described as the "one great woman artist in India who has moved the hearts of millions with her songs". 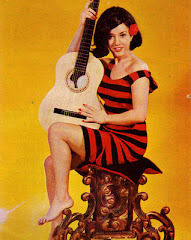 The film revealed yet another aspect of her genius - she was a superb singer of Hindi bhajans. 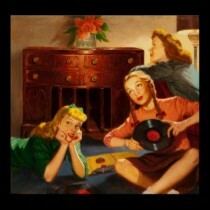 Those renditions by M.S. continue to enthrall listeners to this day. Following the success of the film she quit films and turned wholly to concert music. In total she has acted in five films spanning a decade. M.S. travelled to London, New York, Canada, the Far East, and other places as India's cultural ambassador. Her concerts at Carnegie Hall, New York; the UN General Assembly on UN day in 1966; the Royal Albert Hall, London in 1982; and at the Festival of India in Moscow in 1987 were significant landmarks in her career. While Lata Mangeshkar called her Tapaswini (the Renunciate), Ustad Bade Ghulam Ali Khan termed her Suswaralakshmi (the goddess of musical notes), and Kishori Amonkar labeled her the ultimate eighth note or Aathuvaan Sur, which is above the seven notes basic to all music. Listen to the beautiful voice of Subbulakshmi and enjoy!